Guide to DRM-free Living gets a big update! We've just finished a major update of the Guide to DRM-free Living with dozens of new places to get ebooks, movies, and music without DRM and a page of worst-offenders. There have been some exciting developments in the realm of DRM opposition on ebooks, like Tor/Forge dropping DRM on ebooks, and we wanted to spruce up the guide to reflect all the progress that's been made. Read more about Guide to DRM-free Living gets a big update! As you've no doubt heard, Apple, the last major retailer of DRM-encumbered music announced, live at MacWorld, that all iTunes music will be going DRM-free. 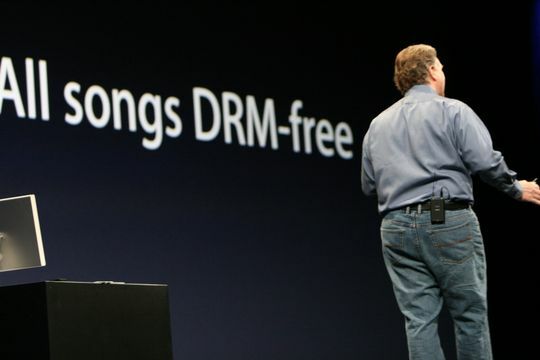 Today, some 8 million songs and music videos are already available DRM-free, via iTunes Plus.